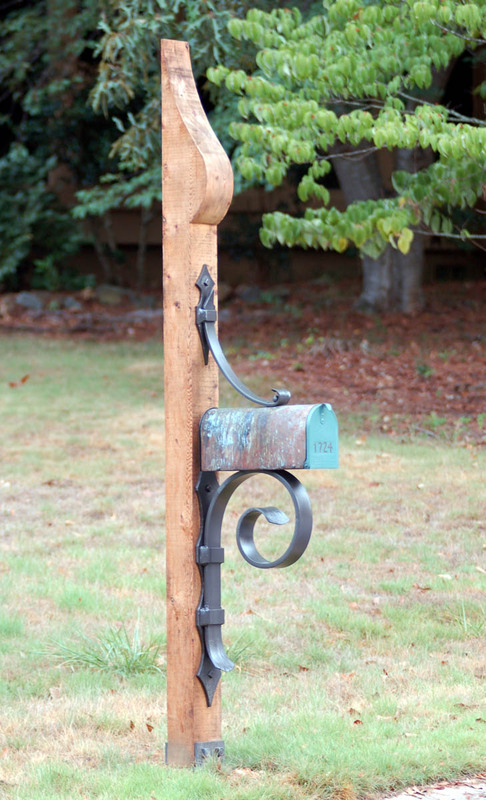 The Kingwood Mailbox may be the little guy in the group but it is the perfect size for the neighborhood home. 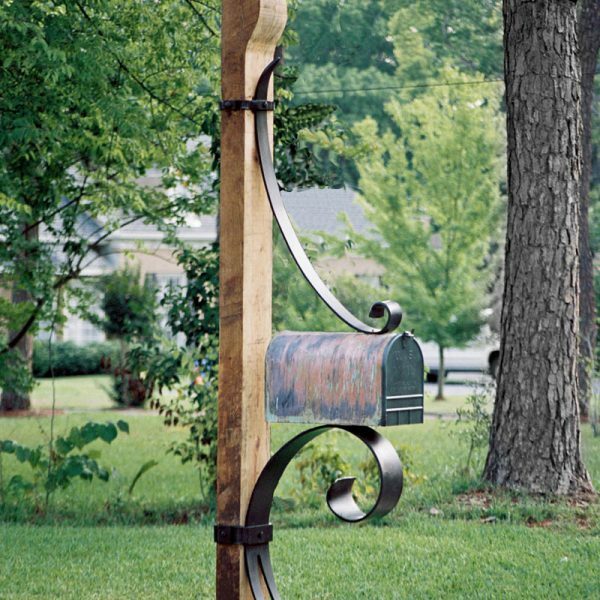 Its slimmer 9 foot post and residential copper clad are supported by substantial iron scrolls banded to a decorative back plates. 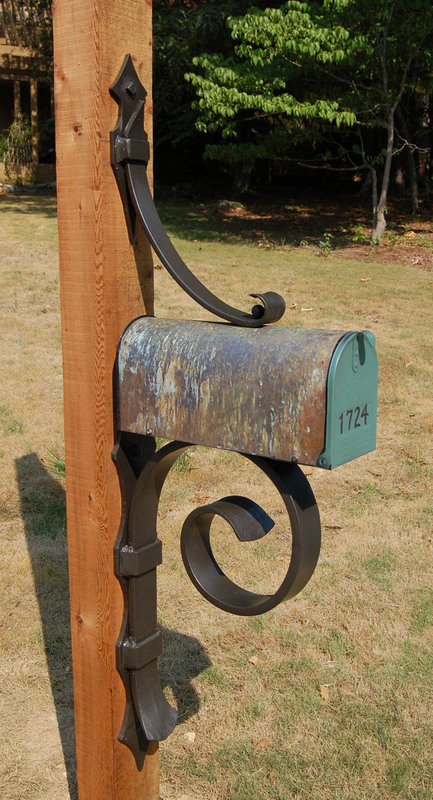 The current design has a slightly larger decorative steel boot to enhance the bottom. 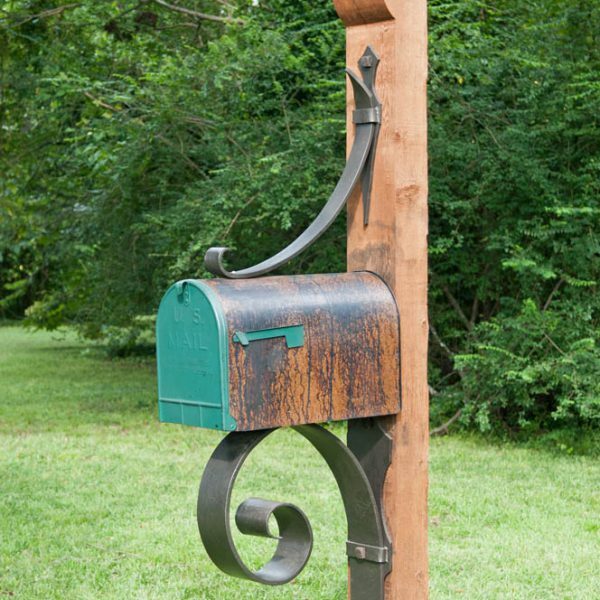 The Kingwood Mailbox is available as the complete assembly or, for those who want to use their own wood, the ironwork with the mailbox is available.